Native to China, Ginkgo Biloba is widely cultivated and was introduced early to human history. It has various uses in traditional medicine and as a source of food. The genus name Ginkgo is regarded as a misspelling of the Japanese gin kyo, "silver apricot". 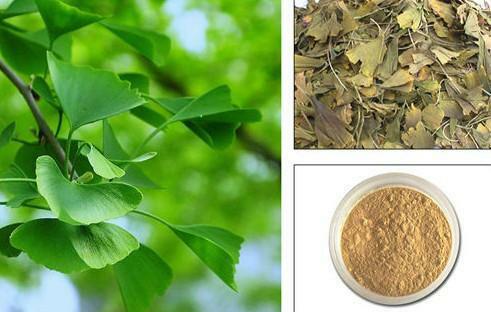 Extracts of ginkgo leaves contain phenolic acids, proanthocyanidins, flavonoid glycosides, such as myricetin, kaempferol, isohamnetin and quercetin, and the terpene trilactones, ginkgolides and bilobalides. The leaves also contain unique ginkgo biflavones, as well as alkylphenols and polyprenols. 1. It can promote the circulation of the brain and body simultaneously. 2. It may has the function of anti-oxidation in the brain, the retina and the cardiovascular system. 3. It has the function of anti-aging. 4. It has been studied as a possible treatment for dementia and Alzheimer's disease, with mixed results. Some reviews have concluded there is no good evidence supporting the use of Ginkgo in dementia, whereas others have concluded that the extract of Ginkgo biloba may help people with dementia. Package ：25kg/drum or 25kg/carton;or according to customers' requirements. Storage： Store in a well-closed container in cool and dry place,keep away from direct sunlight and heat.